Online ordering menu for Happy Wok. 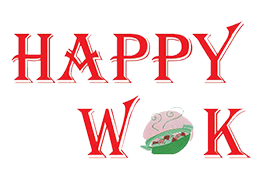 Come to Happy Wok in Arnold, Missouri for delicious Chinese food! We serve soup, Chow Mein, Chop Suey, Lo Mein, and more! A few of our Seafood items include Hunan Shrimp with Black Bean Sauce, Shrimp with Lobster Sauce, and Sa Cha Shrimp. Try one of our Chef's Specialties such as the Triple Crown in Garlic Sauce, Hunan Triple Crown, or the Sesame Chicken! We are west of I-55 on Vogel Rd. We're across from Richardson Crossing Plaza and just a few blocks from Jefferson County Plaza. Order online for carryout or delivery!